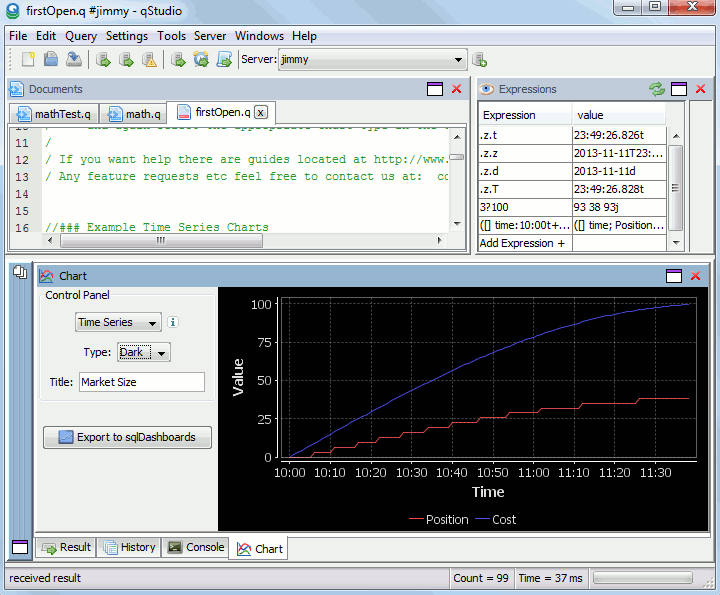 qStudio is an IDE for kdb+ database by kx systems that allows querying kdb+ servers, charting results and browsing server objects from within the GUI. 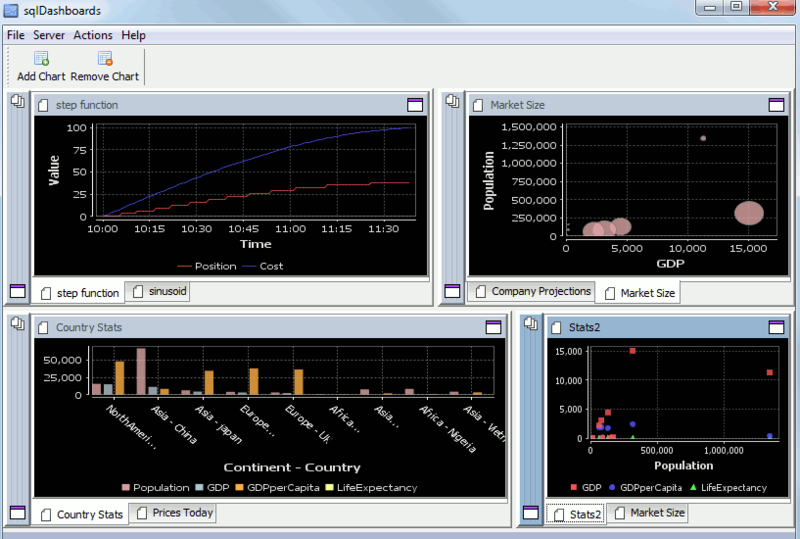 Changes in the latest version include a new dark theme for charts and the ability to run multiple instances of qStudio. 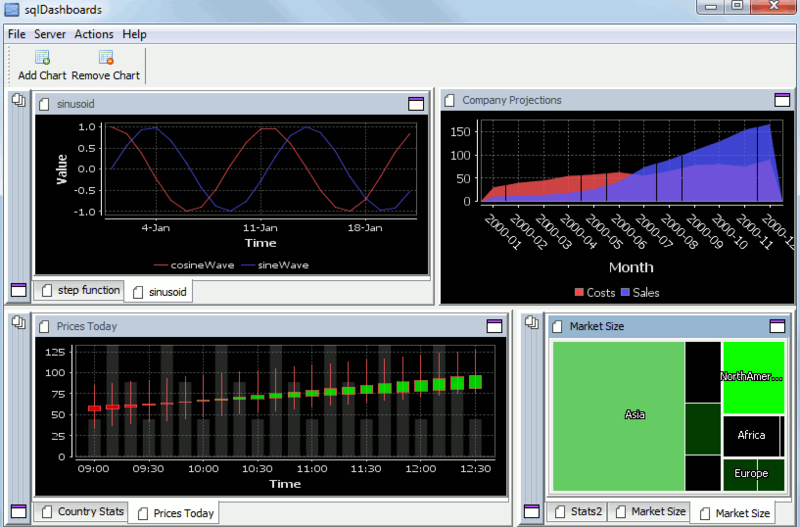 The changes were added as a few people had asked for a dark theme due to eye strain from staring at the white charts. If you have any ideas for what you would like to see in the next version please let me know. You are currently browsing the TimeStored weblog archives for the month November, 2013.